31st January 2011. After a relatively successful 30 days of the January transfer window, which had seen no departures and the signing on a permanent basis of the mercurial Hatem Ben Arfa, as well as the loan signing of the unpredictable, though undeniably talented Steven Ireland, all seems well. Fast-forward 24 hours to the morning of 1st February, and a feeling of shock, anger and above all fear pervades the atmosphere at St. James’ Park. 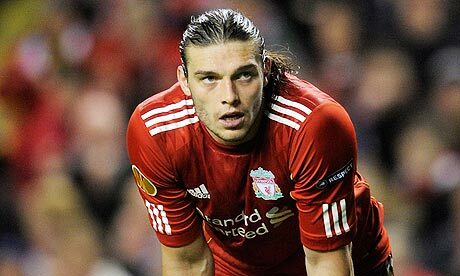 Terrace favourite Andy Carroll, wearer of the iconic number 9, focal point of the attack and top goal scorer had been sold to Liverpool – no one had come in to replace him. Newcastle, it seemed, had fallen victim to a peril of the January window that will be all too familiar to supporters of teams outside the ‘big 6’ – bigger clubs sniffing around and snatching up your team’s best players, leaving the squad significantly weaker and demoralised. As it transpired, a strike force consisting of Best, Lovenkrands, Ameobi and the far from marquee signing Shefki Kuqi was enough to keep the team in the division comfortably – though this is thanks mainly to the goals of Kevin Nolan, and the close-knit team spirit fostered under his captaincy. However, in the immediate aftermath of the Carroll sale this did not seem a likely occurrence. It may seem bizarre in hindsight, with Newcastle flying high in 6th place in the Premier League at the time of writing, but there was at the time a genuine feeling amongst many supporters that relegation was a genuine possibility, and that £35 million for Andy Carroll did not represent a good deal if there were not enough goals scored to keep the team in the league. As more than one observer pointed out, “you can’t play a £35 million cheque up front”. Carroll found it hard to regain fitness and form in the second half of the season, making only 7 appearances in the league for his new club, scoring only 2 goals. He has continued this poor form into the current season, making 20 appearances but scoring just 2 goals in the league, and the fee paid on the much hyped ‘DEADLINE DAY’ looks ever more ridiculous with each passing game. Contrast this with Newcastle, who, far from being weakened by his departure, have in fact strengthened their squad, investing the money in the summer on shrewd buys such as Demba Ba (free), Yohan Cabaye (£5 million) and Davide Santon (£5.3 million). Ba in particular shows the folly of Liverpool’s spending, a free transfer who has scored 15 goals in 19 league games, including a memorable volley in the 3-0 thumping of champions Manchester United. Going into this season’s January window, however, it seemed the same story – prolific Newcastle striker leaving for a bigger club – would be the outcome, with Spurs manager Harry Redknapp first revealing a mysterious ‘release clause’ in Ba’s contract, then doing his best ‘Brucie’ impersonation in a bizarre press conference in which he encouraged journalists to go higher or lower in guessing how much Ba could be bought for. It is Newcastle, though, who have played their cards right so far. 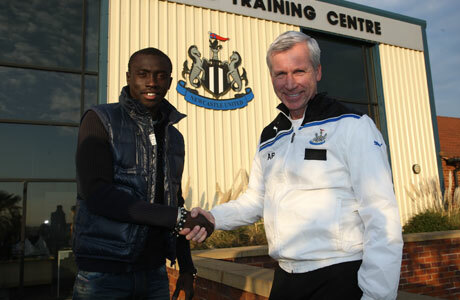 Having decided against taking a £7 million gamble on the fitness of Modibo Maiga, Alan Pardew and Chief Scout Graham Carr secured the signing of long term striking target Papiss Demba Cisse for £10 million. Of course, there is no guarantee that he will prove to be an instant success, but given the way in which Carr’s other signings have taken to the Premier League, there is no reason why the prolific Senegalese can’t maintain the form he has shown in a struggling Freiburg side so far this season, scoring 9 goals in 17 games for a team languishing in 17th place in the Bundesliga. His 22 goals in 32 games last season suggest this is a player who can make all the difference in a side ambitious to continually improve and push on in the second half of the season. “We don’t just want to be happy with where we are – we want to keep improving”, said Danny Simpson in an interview with the Journal, and signings such as Cisse give Newcastle the ability to do just that. If Demba Ba can maintain his pre-African Cup of Nations form and gel with his fellow compatriot then there seems no reason why the club can’t grab a Europa League place come the end of the season. In addition to the signing of the number 9, much needed defensive cover is seemingly on the way as well, with Pardew adopting the sensible tactic of dipping into the championship for an affordable squad player – gone may be the days of seeing 5 ft 10 James Perch toiling at centre half against 6 ft 4 strikers, as was the case against Norwich earlier this season. With 4 days still to go until the end of the window, there is, of course, still time for one of the bigger clubs in the league to swoop for one of Newcastle’s best players, but what the club has demonstrated is that when approached pragmatically, this month which is usually approached with dread by teams outside the top 6, can in fact be a time of excitement for fans, and an opportunity to genuinely strengthen the squad.